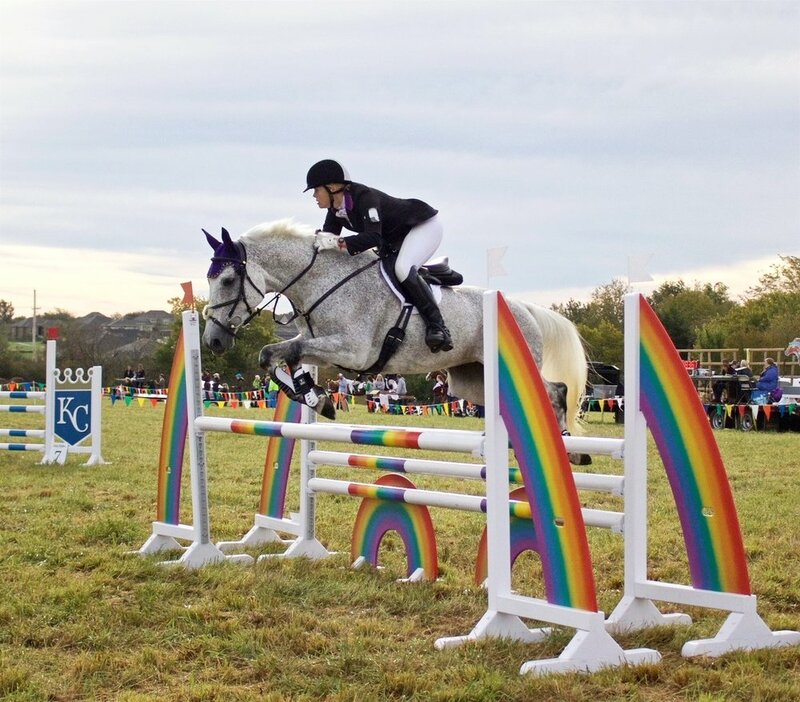 Known as the "equestrian triathalon" - eventing is an exciting sport that originated as a cavalry test and is comprised of three phases: dressage, cross-country and show jumping. Eventing tests horse and rider pairs more completely than any other horse sport. Dressage is the first of three phases in eventing competition. From the French word meaning "training," dressage was originally created to show the horse's submission and ability to perform intricate movements required for cavalry exercises. Today's dressage still consists of an exact sequence of movements, but now they are ridden in an enclosed arena and scored by a judge or judges. The goal remains very similar, that horse should demonstrate balance, rhythm, suppleness and most importantly obedience based on the riders cues or "aids." The cross-country phase takes place after the dressage phase. Cross-country is the cornerstone of eventing, and proves the speed, endurance and jumping ability of the horse over varied terrain and solid obstacles. Carrying forward their penalty points from the dressage phase as their score, riders want to finish with the fewest penalties possible by jumping every fence on the first effort and finishing the course within the prescribed time limit, which is known as optimum time. The third phase, show jumping, tests horses and riders precision over a series of colorful fences made of lightweight rails which are easily knocked down. This final phase tests the stamina and recovery of the horse after the very tiring cross-country phase. Consisting of 12 to 15 jumps in an enclosed arena, show jumping requires exact riding as the slightest bump could cause a rail to fall, resulting in four penalty points.